Who says Christmas colours are red and green (or silver and blue if you're posh)? Who needs all the bright wrapping paper, jewel-coloured baubles and gaudy lights? This is Melbourne, damnit, and in Melbourne we like things black. Inky black. 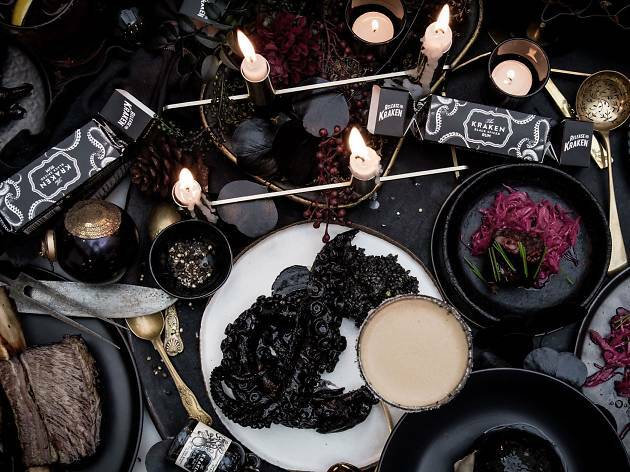 Enter Kraken Kristmas in July, an all-black feast that might be more Krampus than Christmas but will definitely be more intriguing than your great aunt's Chrissie barbie. It's almost guaranteed to be more delicious, too. 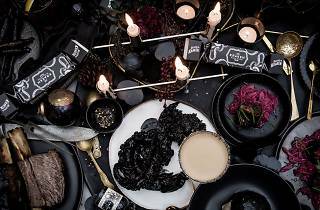 The Kristmas event will feature blackened seasonal produce and four exclusive dark cocktails. Guests are asked to dress in Johnny Cash's favourite colour, and will be serenaded down a black carpet by violinists playing inside a giant snowglobe. There will also be a capella carollers (we're assuming only the Christmas music in a minor key? ), along with actual snow. Well, as close to actual snow as you get in Melbourne in July. Ditch the Santa suit and let's get dark this winter.